Authorities were called to a crash on I-84 at approximately 12:30 am Sunday morning. Upon arrival they discovered a collision between a tractor trailer and two other vehicles. Both sides of the roadway were immediately closed for investigation. According to state police, they located a tractor trailer in a ditch headed toward a set of trees on the eastbound side of the highway. The other vehicle involved in the crash flipped over and landed upside down against a concrete barrier located in the highway median. Sadly, at least one person died and another person suffered injuries from the crash. Officials have not released the identities of anyone involved in the accident. Approximately 80 gallons of fuel leaked out from the trailer after the crash. State hazmat teams were called in to clean up the spill. The highway was closed for about 12 hours while police investigated. The road was reopened at about 12;30 pm this afternoon. Semi truck accidents are devastating. The sheer size and power of a semi truck almost always causes catastrophic damage when it is involved in an accident. In this case, it is unclear who was negligent and therefore which driver might be legally responsible for the crash. Either way, the crash tragically had fatal consequences for at least one person involved. If you are involved in a semi truck accident, there are a few important facts to keep in mind. Notably, semi truck accidents typically feature commercial insurance policies which carry higher benefits compared to non-commercial policies. This is a testament to the property damage and serious injuries which often result from a semi truck collision. 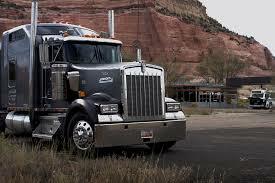 Secondly, it is important to identify the owner of the truck in order to identify the legally responsible party. This can be difficult depending on the particular situation. In cases with such high stakes, hiring an inexperienced or ineffective attorney is an unwise choice. At the Law Offices of Jeffrey S. Glassman, we have years of experience with cases involving semi truck accidents. Our team brings the skills and the determination necessary to maximize your recovery. If you or a loved have been hurt by the negligence of a semi truck driver, please call us today at 617-367-2900 to discuss your case.